On the last day with any reliable wind on the forecast we watched Keahi de Aboitiz beat Sebastian Ribeiro in a world class final to take the KSWT Torquay title (and on his birthday no less). Today the riders were back on the point at 08:00 AM for a possible start to the double eliminations but, although there were clear blue skies and some beautifully clean lines rolling over the reef, the wind wasn’t up to strength and there would be no more heats run on the final day of the event. 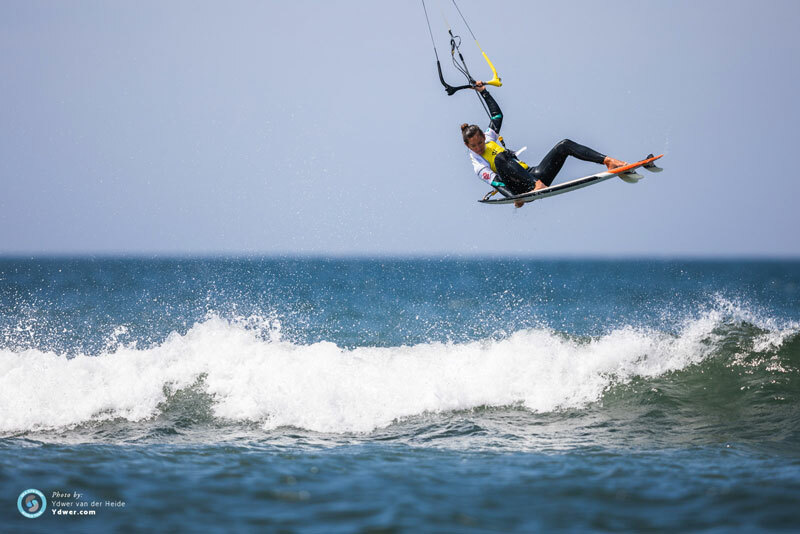 Jalou’s win here also secures her first ever GKA Kite-Surf World Tour Title after a hard fought season in which she’s battled Moona Whyte and Carla Herrera Oria for the top spot since the first event back in February in Cape Verde. Carla finishes the year in second, a strong result for her given her relative inexperience in the waves before she joined the tour in 2017. With Jalou currently planning a break from competition in 2019 you can bet Carla’s eyeing her chances at a tour title next season! Charlotte Carpentier had a challenging time of it at this event crashing out early in the single eliminations after losing to Australian rider Jennie Milton. This has been an impressive debut year for her on the tour though and a series of steadily progressing strapless freestyle performances throughout the season had given her a good base of points before this event began so she retains her third place position overall. Moona Whyte sadly missed this event and last month’s KSWT Brazil after injuring her back at home in Hawaii but second place earlier this year in Cape Verde and two first place finishes in Portugal and Viana do Castelo had seen her already amass enough points to round out the season in fifth place. In the men’s division there’s no change at the top and Airton, who started this event with an unsurpassable lead, still finishes the season in first place with his second KSWT World Title in the bag! It’s been a huge year on tour for him during which he’s proven himself close to unbeatable in the strapless freestyle stakes while also showing that he’s able to win convincingly in the waves after his victory at the opening tour stop at Ponta Preta in Cape Verde. This isn’t the first time Keahi has pulled the rug out from under Airton at a final event though and his victory here means he now takes second place overall ahead of Matchu. 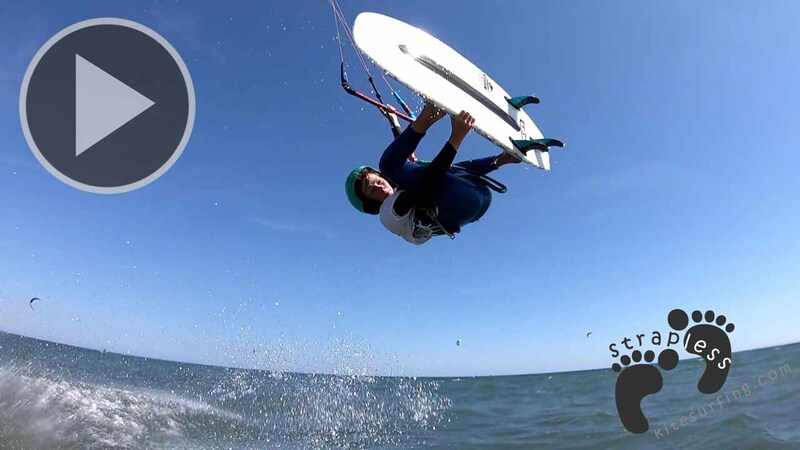 In 2016 he beat Airton in the final event in Dakhla and last year he won the final event in Mauritius to deny Airton a clean finish on the way to his first ever KSWT title. You can bet he’ll be coming back even harder next year though and we all know he’s still got the ability to take event wins so let’s see what he brings to the table when the tour kicks off in Cape Verde in February 2019! It was an awesome location to wrap up the event as the people of Torquay have really welcomed the tour into their beautiful town with open arms this week. Everyone who’s a part of the KSWT talks about the family feel of the tour and it was amazing to finish the KSWT 2018 season up here on the Surf Coast – a place with such a storied surf and water sports history. Keep an eye out for the full action highlights reel coming up! Lock in to our Instagram / Facebook / Twitter feeds for all the upcoming highlight and recap videos!